New Brunswick flooding leads to shortage of lobster bait on P.E.I. The spring lobster season in P.E.I. hasn't been open very long, but some lobster fishermen and buyers are concerned about the shortage of bait available to set their traps. 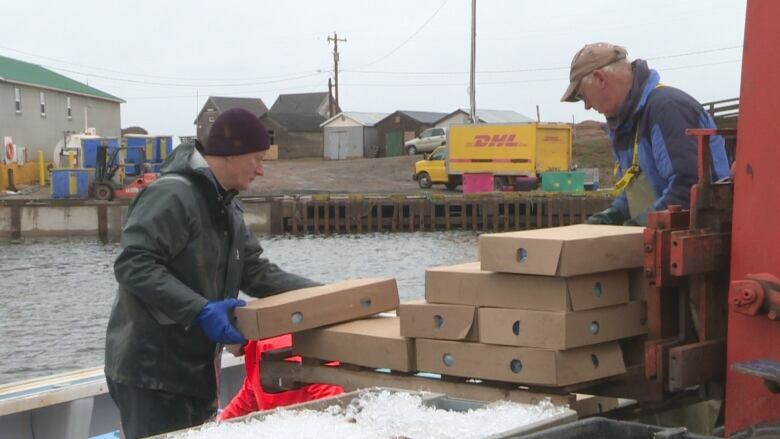 One of the causes of the shortage this season is the flooding across New Brunswick, which is making it difficult for fisherman to get their boats in the water and catch gaspereau, a popular fish used as lobster bait in P.E.I. Jerry MacDonald, a buyer for Shediac Lobster Shop who works out of Naufrage Harbour in eastern P.E.I., said this season's bait shortage is the worst he's seen in years — so bad that some buyers are losing clients because they can't supply them with bait. "This is the first time I can ever remember it being that bad," said MacDonald. "We struggle to get bait, we had to stay here until 1:30, 2 in the morning to even bait up our boats." MacDonald said the search for gaspereau is a popular topic of conversation on the wharf this season and several buyers are struggling to keep up with the supply fishermen need. "We thought we weren't even going to get enough to bait up our boats for setting day." Gaspereau fishermen in New Brunswick say the flooding along the St. John River has slowed production significantly. 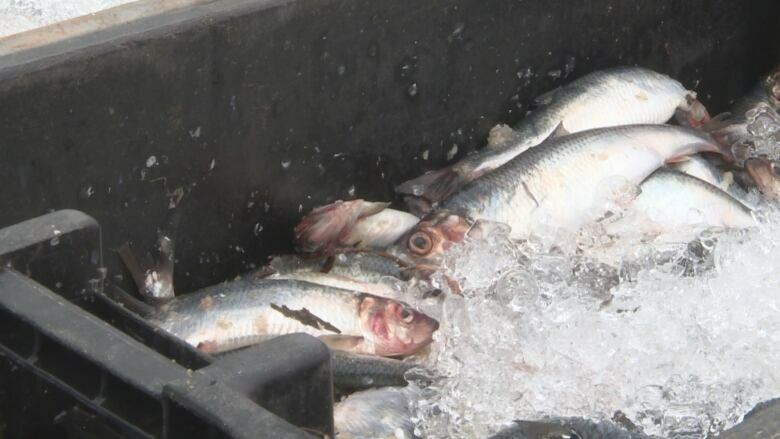 Keith Young, a fisherman in the province and board member of the Fundy North Fishermen's Association, said while a few boats have made it into the water, their catches were minor and the amount of bait that has been shipped to P.E.I. is insignificant compared to previous years. "The water is so high and the current is so bad that we just can't fish," Young said. 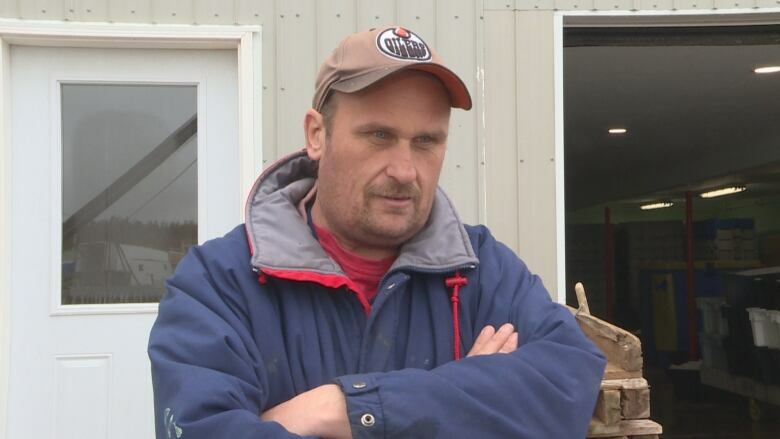 He said he hasn't seen a shortage this bad since 2008, when a flood saw water levels of 5.2 metres and caused over $23.3 million in damage. "[It] was a total wipe out, basically, it was a 90 per cent wipe out as far as bait goes," Young said. "The water hasn't stopped rising yet so it's going to take a little bit for it to stop and start back down again and that's a longer period of time than it was back in '08." 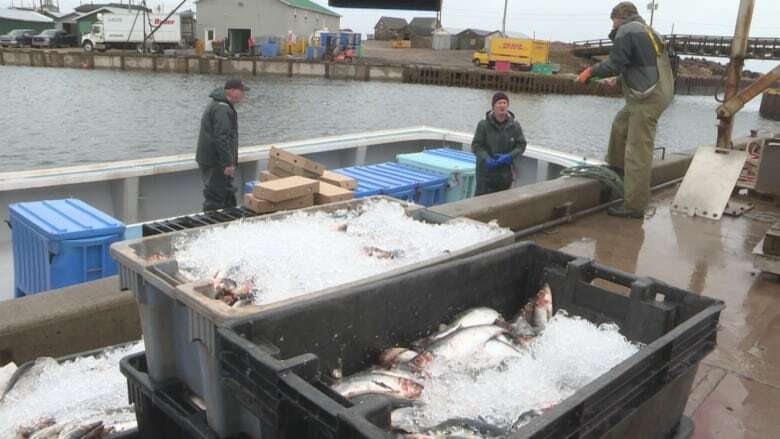 Young said the season for fishing gaspereau usually starts by mid-April and finishes by late May or early June, but as flood waters continue to rise across the province he expects it will be a few weeks before production can begin. "We usually ship 20 to 30 tonnes a day when we're going, sometimes more," Young said. "That's all we've done this year so far. "We'll have to just wait and see what happens, make the best of it." Darrell Lesperance, a fisherman in Naufrage, said while he has noticed a shortage of gaspereau this season, it hasn't slowed his fishing down this season. He added that he's been using frozen fish, something he said seems to be more common every season. MacDonald said he's been using mackerel, herring and redfish as substitutes for gaspereau. "We had to have frozen, we usually don't go with frozen," MacDonald said. "We had to borrow from this person, borrow from that person, it was really hard." He added that while he usually gets bait from New Brunswick, this season he's had to look to Nova Scotia to get gaspereau. "We had to get a truck to go over there and the truck driver had to sit from 6 in the morning until 4 in the evening waiting for a bit of bait, even then it wasn't great either — it wasn't a lot," he said. MacDonald said while the start of the season has been a challenging one, he hopes to see more bait come through the wharf over the next few weeks. "I think it will get a little better, hope it does anyway," MacDonald said. "It'll get better as we go."